Two further reissues from the legendary Move, the “Something Else” live EP complimented by 12 bonus tracks and the third LP, by which time ELO’s Jeff Lynne had joined the band. Ian Canty looks at the chaotic circumstances that surrounded this most combustible of 60s bands…. 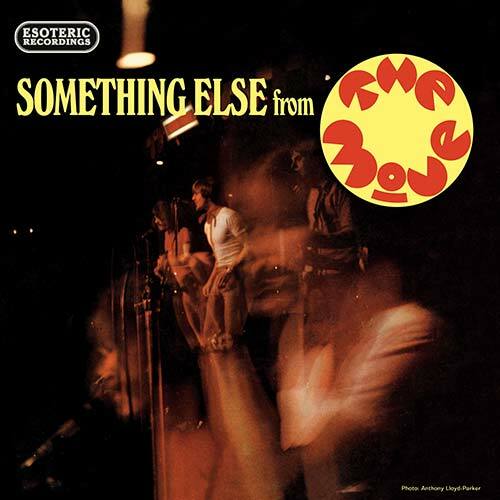 The original “Something Else” was a live EP, intended to catch the Move’s considerable live prowess on one of those heady Marquee nights of 1967. But it didn’t quote work out the way it was intended. “Live” would have to be in inverted commas here because when the record finally saw release, because of problems in the recording process with the vocals, it would have to be heavily doctored in the studio. The sleeve-notes here make it clear that two live dates were recorded for the EP and in between they managed to lose bass player Ace Kefford, with Trevor Burton switching over to guitar for the second session to cover. The first part presented here are 12 tracks from these two gigs that were remastered in stereo about ten years ago and though obviously more studio creations than bona fide live recordings they certainly hit the spot. Bev Bevan’s drumming is so powerful throughout, whilst the flash bombs went off and singer Carl Wayne axed in TV sets the mighty back-beat he supplied went on no matter what. It is inevitable given the problems with the original recording that the live chatter appears a little incongruous sound-wise with the cleanness of the music on offer. But if you can suspend disbelief and imagine that this was all laid down on tape at the same time, what you have is a choice offering of the Move in their element playing a lot of spirited covers interspersed with two of the big hits (“Flowers In The Rain” and “Fire Brigade”) and this provides a decent facsimile of what their live show would have been like at the time (sonically at least). Their version of Eddie Cochran’s “Something Else” could have even been the template for Sid’s later effort, such is the spirit of abandon. It’s also further evidence that the Move were big music fans as well as fine players given the choice of material. As I said in my reviews of the previous Move re-issues, not too many people in the UK were hip to Love and they do a great couple of versions of “Stephanie Knows Who”, full of punch and fire. They even have a go at Spooky Tooth’s “Sunshine Help Me” as a set closer. The original mono EP that concludes this CD starts with screaming fans and is a bit rougher, but possibly a tad more exciting. 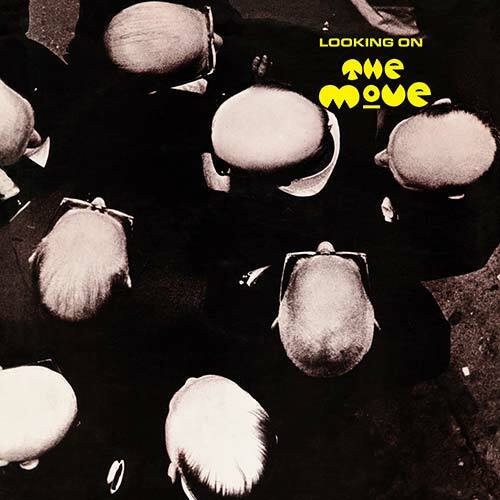 Though I suppose the fact the EP market (which was massive in the early 60s) was on the decline contributed to this being the Move’s first record not to chart, it certainly is not an inferior product at all. Of course this all wrapped up with an excellent booklet consisting of some great photos, contemporary press clippings and an informative sleeve-note by Mark Powell which tells the troubled history of “Something Else”. For me it’s another winner which shows the Move at the peak of their powers even if it wasn’t actually that “live”. Moving on apace and the Move had changed radically as a band. Only Roy and Bevan were left over from the original act that came straight out of Brum three short years prior to 1970’s “Looking On” with Rick Price coming in on bass and the ex-Idle Race main-man Jeff Lynne replacing Carl Wayne, who departed for an ill-fated flirtation with cabaret. Though the Move were a much altered beast when presented on “Looking On” they still retained the same attitude and that adapted wonderfully to what by now was called the “progressive” scene (the “rock” bit was added on later). The album itself is not that different from the preceding “Shazam” in terms of format i.e. the seven tracks are all long and on the “heavy” side, but these numbers are all self-penned and eschew the spoken word links of the previous platter. Roy Wood by this time was playing any number of instruments and his sax work here prefigures what he was take forward with Wizzard. Most of what’s on show is rock n roll so powerful it packs all the might of a locomotive goods train clattering at high speed through a station, it nearly takes you back against the wall in awe in “Turkish Tram Conductor Blues”. By track three we’ve reached “What” which you can spot a mile off is Jeff Lynne’s first song-writing contribution to the Move, prefiguring the Electric Light Orchestra definitely with its different sections and changes of pace, but stays away from his slightly more mawkish tendencies with that band through the sense of dread in the backing. This is a well-realised piece of heavy Psych. “Open Up Said The World At The Door” is a manic keyboard/oboe work-out climaxing with a short (for the time!) drum solo, ending with some great guitar and chanting. Though ex-singer Carl Wayne was on the whole very charitable about the Move after he left, considering the band a better entity than in his tenure, he hated “Brontosaurus” – it really isn’t that bad, a forerunner of the Glam Rock to come, but one of the lesser works featured here. Finishing off with “Feel Too Good” (a great piece of groovy shuffle-rock with some super backing vocals from soul legends PP Arnold and Doris Troy plus a curious “Ogden’s Nut” style ending), this edition is buffeted by a b-side in the form of the pure pop jewel of “Lightnin’ Never Strikes Twice” and a whole extra disc of out-takes, rarities and those lovely BBC sessions. Of the out-takes, the Zappa-like Doo-Wop stomp of “The Duke Of Edinburgh’s Lettuce” (nice title) never made the album but the other three tracks are full on rockers and “Brontosaurus” in particular is more explosive here, making it a little puzzling why this mix never made the LP. The BBC Sessions have a couple of those great Brian Matthews interviews with Bev and Roy (the second of which alludes briefly to Roy’s Orchestral aspirations with the coming ELO) and a couple of tough gos at the Fabs’ “She’s A Woman”. There are less-embellished takes on the album tracks here as well and as is usual the clearness and speed of recording makes up for these tracks not being quite so elaborate, mostly through the sheer excitement and vigour displayed. After “Looking On” one more album “Message From The Country” emerged in 1971, but by this time they were splintering again and it would not be long until the band folded for good with Bevan, Lynne and Wood at first shelving the name and becoming ELO until Wood split for his “Wall Of Sound” hits as Wizzard. It must be said that all these Move re-issues are the result of masterful work by the folks at Esoteric – they sound good, the bonus tracks from BBC sessions are high quality and the sleeve-notes and photos compliment the sounds perfectly – the Move have languished in “reissue hell” with some of the things put out over the years, but these versions feel just right. Feel Too Good for my money is one of the greatest drum and bass intro in rock. The move were always excellent all the way through, I was lucky to see them a couple years ago before they split. fantastic band. The Duke of Edinburgh’s Lettuce DID in fact make the album. It’s at the end of FEEL TOO GOOD after the doo wop part.